If you have any experience of Lean manufacturing, then it is likely that you may have heard about the term Kanban. 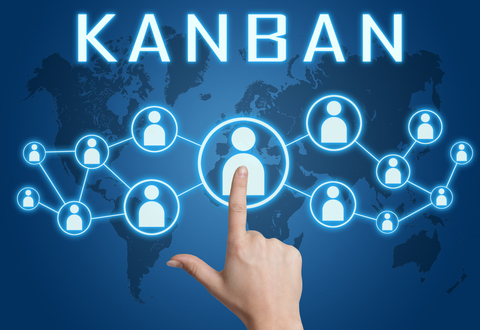 Kanban represents a highly visual method of workflow management which has proven to be very popular with lean teams. As a matter of fact, more than 80% of lean practitioners utilize the Kanban method to easily visualize and manage their workflows. 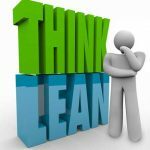 If you are looking to find out exactly how Kanban and lean work together to improve the efficiency of a manufacturing operation, this post will help clear everything up. 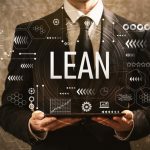 First, we examine what exactly lean is; it is a method of doing business that has gained massive popularity in the manufacturing industry as it helps businesses to achieve their production goals in a smart, healthy and sustainable way. In addition, it is a very flexible and continuously evolving methodology that has no strict rules or guidelines. The lean way of thinking is based on two major pillars, each of which can help a manufacturing business to achieve its ultimate goals – providing value to its customers and eliminating any sources of waste. The two pillars are: continuous improvement and having respect for people. Lean describes waste as anything which fails to add value to an organization’s customers. Waste appears in the form of ineffective meetings, inefficient processes, excessive collaboration or excess inventory, among others. Through continuous improvement, an organization can identify waste and eliminate it in a systematic manner. Practice of continuous improvement lets manufacturers improve continuously through enabling a company culture that encourages learning, experimentation and growth. There are many similarities between the scientific method and the cycle of continuous improvement. This is no coincidence – the lean approach is at its most effective if it is data-driven. The practice of lean in manufacturing requires everyone in the company to take on a testing focused mindset. A reliance on data collected from customers is among the key ways in which a lean manufacturer can practice the second pillar of the methodology. However, showing respect to people is more difficult to do practically than it would appear in theory. As you may recall, the ultimate aim of any lean organization is to ensure that it maximizes value to its customers while it eliminates waste. Achievement of this goal is how a lean manufacturer shows its respect for the customer; through striving continuously to put as much value into the hands of its customers as fast as possible. Customer satisfaction can only be achieved via a disciplined and dedicated approach to work, through the emphasis on communication, clarity, transparency and collaboration. This is where the principles of Lean manufacturing and Kanban meet. 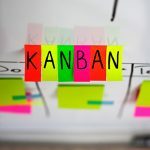 Kanban is a highly visual management method for workflows that gives organizations the visibility, metrics and focus required to manage work and people much better. Visibility: Kanban makes extensive use of digital or physical cues, each of which represents a unique process. Work processes are represented by these cards, which are moved from left to right, stopping at each step of the process. If used on a daily basis for the management of workflow, the Kanban boards offer a real-time overview of a manufacturer’s current capacity. Metrics: The next step toward achieving the continuous improvement aimed for by lean manufacturers is use of the cards on a Kanban board to identify areas that may require improvement in order to achieve better performance. Focus: Kanban also provides lean manufacturers with the transformative advantage of focus. It all starts with prioritization of any backlog; instead of a manufacturing team taking on ad hoc work requests, existing work is given priority, based on the team’s overall goals. What it then does is to assist the team to reduce waste through switching of context which severely affects quality and reduces productivity. Kanban provides lean manufacturers with the trident of visibility, metrics and focus, which are vital if they are to continuously improve while respecting the needs of the customer. The Kanban methodology helps to clearly visualize improvement opportunities while focusing on the end goal of providing value.